In February of 2016, we announced the sale of our Etch A Sketch and Doodle Sketch brands in a move designed to allow us to focus on its metal lithography business and invest in its manufacturing operations in Bryan. The company also underscored its continued commitment to the Bryan, Ohio community and has been working with local business leaders to more effectively utilize its Bryan facility. G&M Media Packaging and Reece Brothers Digital Printers have both signed on as tenants and Wilton Keck Recycling has purchased warehouse space for their upstart commercial recycling business. The company is also leasing warehouse space to two local manufacturers in need of additional staging. The Etch A Sketch and Doodle Sketch brands have been sold to Spin Master Corp., a leading global children’s entertainment company that creates, designs, manufactures and markets a diversified portfolio of innovative toys, games, products and entertainment properties. 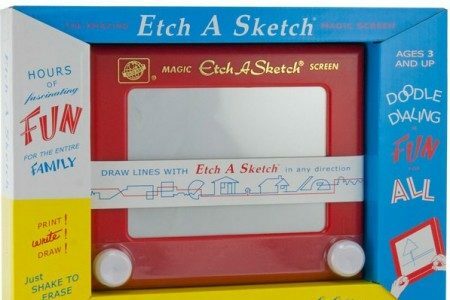 “We are very happy that children around the world will continue to be able to enjoy Etch A Sketch, one of the world’s most iconic toys, as Spin Master is committed to building upon the success that The Ohio Art Company has created and sustained for more than 50 years,” West concludes. 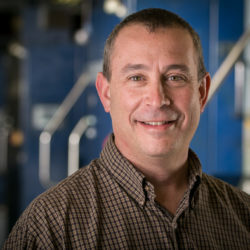 With almost 30 years of experience in Lithography, Bill Waters is a seasoned leader as Director of Lithographic Operations at Ohio Art. Ohio Art stands as one of the leading metal lithographers in the world. For more than 100 years, we have translated the Metal Lithography art form into customers’ success. Comments Off on Happy 108th Anniversary!